LAS VEGAS, NV (January 6-9, 2016) – CyberPower Inc., www.cyberpowerpc.com, a global manufacturer of custom gaming PCs, gaming laptops, and performance workstations, will unveil some PC gaming eye candy when it debuts a new series of 2-in-1 gaming & streaming PCs, a 34-inch curved screen All-In-One, a new line of gaming laptops, and several gaming PC series that are “VR Ready” at CES 2016.
iConnect has a Lightning interface that can be plugged into an Apple device directly – Now available in the U.S.
September 2nd, 2015 - Taipei, Taiwan – Foxlink, PQI, the world’s leading brand in peripheral storage accessories for portable devices is proud to announce the ultimate storage solution, the iConnect. It seems that almost everyone eventually runs out of space on their iPhone, iPad or iPod, whilst there are multiple ways to solve this problem, there’s nothing better than simply having more space. The iConnect is an Apple certified Lightning interface flash drive that can be plugged directly into an iOS device to store photos, music, movies and to back up contacts. With the iConnect, you will no longer have to go through your phone deleting old memories or trying to figure out which app you can live without. Available in the U.S. this September, the iConnect will give you enough space so you never miss the next photo or video opportunity. CHICAGO – July 9, 2015 – Trustwave® today announced a major enhancement to the company’s managed security services portal designed to give distributed, complex enterprises more actionable threat intelligence so they can better detect and protect themselves from security incidents, vulnerabilities and data breaches. Chief Information Security Officers (CISOs) -- CISOs need a broad view of the overall organization to be able to report on vulnerability scanning and remediation. With Enterprise View, CISOs can now view vulnerability scan results as well as the historical trend of vulnerability remediation. It also allows CISOs to drill down in greater detail on specific business locations or vulnerabilities. Follow Trustwave on Twitter at www.twitter.com/Trustwave, on LinkedIn at www.linkedin.com/companies/Trustwave, and on Facebook at www.facebook.com/Trustwave. All trademarks used herein remain the property of their respective owners. Their use does not indicate or imply a relationship between Trustwave and the owners of such trademarks. Commandos and Cossacks stand side by side in The Battleground Bundle, a collection of popular PC strategy games with a retro flavour. For a limited time, this Windows-only bundle makes eight action-packed Steam games available for just $3.99. Thanks to leading digital retailer Bundle Stars (www.bundlestars.com), gamers save a massive 90% off the normal retail prices of the individual games. The critically acclaimed Commandos is a stealth-oriented real-time tactics game series created by Spanish developer Pyro Studios. Set during World War Two, the games follow a unit of British Commandos who are sent behind enemy lines. The player must lead their crack team of elite troopers throughout 20 hazardous, action-packed missions, and bring them back alive. The award-winning Cossacks series of games was developed by Ukrainian developer GSC Game World, makers of the S.T.A.L.K.E.R. first person shooters. Cossacks is set in Europe during the 17th and 18th centuries. Players must avoid famine and engage in army expansion, building construction and resource gathering, with massive numbers of units at their control. In all, The Battleground Bundle provides gamers with 8 individual serial keys which can be redeemed free of charge on Steam (www.steampowered.com). The Battleground Bundle is available exclusively from http://www.bundlestars.com/all-bundles/battleground-bundle/ along with even more awesome Steam bundles. Effective immediately, Inteliscope LLC has decided to refuse all future sales of Inteliscope smartphone-rifle-adapters to Russia and intends to maintain this policy until Ukraine is no longer illegally occupied by Russian troops. Ukraine has demonstrated interest in joining the European Union. The Ukrainian people should be respected and have the right to democratically decide what is best for their country without dictatorial influences from Vladimir Putin. Furthermore, it is my opinion that this is likely an unpopular move amongst the majority of the Russian people. My hope is that pressure from companies like Inteliscope may climb the chain of influence among the Russian people and affect the choices of the Russian government. We have recently been growing sales in Russia. The sales and relationships we have garnered with the Russian people are extremely important to us but we feel that we cannot, in good conscience, sell products that may be used against the Unites States or its allies. As a very small Unites States business recently founded in May of 2013 we feel that this is the only step we can take to influence the Russian attitude toward Vladimir Putin’s choice to invade the sovereign country of Ukraine. We encourage other companies in the Unites States and abroad to adopt similar policies. Together we can make our voices heard. Inteliscope LLC is a business entity established by Jason Giddings to bring to market the Inteliscope tactical firearm mount and smartphone device apps. The Inteliscope products are designed and assembled in North Idaho. The Inteliscope adapter may be purchased online at www.inteliscopes.com or from one of over 600 dealers worldwide. Inteliscope specializes in tactical firearm accessories using state-of-the-art mobile electronics technology. For more information, visit www.facebook.com/inteliscope. 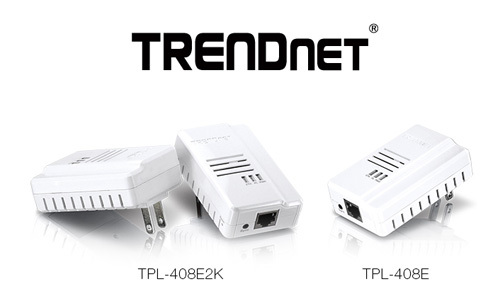 TORRANCE, Calif. - Feb. 6, 2014 - TRENDnet, a best-in-class wired and wireless networking hardware brand, today announces the availability of two new HomePlug AV2 Powerline solutions — the Powerline 500 AV2 Adapter Kit (model TPL-408E2K) and Powerline 500 AV2 Adapter (model TPL-408E). 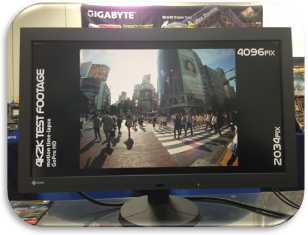 - Enhanced accuracy in video playback drawn frames measurement. - In addition to the standard result, PCMark 7 Storage tests now report additional "raw" results where the metric idle values have been excluded from the score calculation. - Enable or disable hardware accelerated video transcoding from the Help tab for troubleshooting. - Now fully compatible with Windows 8. - The Web Browsing test has been completely rewritten to avoid compatibility issues with Windows 8. The previous implementation was based on Microsoft Foundation Classes (MFC); the new one is a Windows Presentation Foundation (WPF) application. 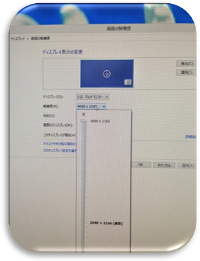 The heavy lifting in the test is still done by the WebBrowser2 control. Benchmark scores are affected, in most cases going up by a few percent. - SystemInfo updated to version 4.15 for Windows 8 compatibility. - Fixed issues in video transcoding tests and added transcoding output file validation. These changes affect benchmark scores. - Fixed a data compression bug in the storage workloads. Benchmark scores are affected in configurations that use data compression at the hardware level. As the DVD playback functionality required by some PCMark Vantage tests is not included in Windows 8 by default, we recommend using PCMark 7 for testing Windows 8 systems. - Trial edition removed. PCMark Vantage Basic Edition is now free and can be run an unlimited number of times without registration or restrictions. - The benchmark no longer tracks application focus, which helps avoid unintentionally ending the benchmark run. Using the PC for other tasks while running the benchmark will influence the benchmark score and should still be avoided. - Now compatible with Windows 8, however, the TV and Movies suite requires DVD playback capability (MPEG2) which is not available in Windows 8 by default. The missing functionality can be added by purchasing the Windows 8 Media Center Pack from Microsoft. Without the Media Center Pack the TV and Movies suite is skipped with a score of 0. - Windows Mail test now works in Windows 8. - Fixed issues with opening saved benchmark result files. Larkspur, Calif., – March 1, 2013 -- Deep Silver today announced that Metro: Last Light, the highly anticipated first person shooter sequel to the extraordinary Metro 2033, will be available on May 14, 2013 in North and Latin America and May 17, 2013 across Europe for PlayStation®3, the Xbox 360® video game and entertainment system from Microsoft and Windows PC. The plot of Metro: Last Light was written by Dmitry Glukhovsky, acclaimed author of the novel Metro 2033 which inspired the creation of both video games. Also, Glukhovsky is responsible for all dialogues in Metro: Last Light. Glukhovskys novels Metro 2033 and Metro 2034 have sold more than 2 million copies worldwide. In 2013, his latest book Metro 2035 will be also available outside of Russia. For more information about Metro: Last Light, please visit www.enterthemetro.com. 4A Games is a computer game development studio based in Kiev, Ukraine. The studio was established in December 2005 by the veterans of Ukrainian game industry, with the aim of developing premium quality computer games for high-end PCs and next generation consoles supported by the in-house developed "4A Engine". Y-cam unveils the Cube, their latest professional grade wireless network camera range, providing VGA, 720p & 1080p HD resolution models, with IR night vision, Wi-Fi N and up to 64gb of on-camera storage, giving home or business customers the utmost in security, integration, design and reliability. LONDON, UK – Thursday 31st January 2013 – Award-winning British wireless camera specialist, Y-cam Solutions Ltd, the leading provider of affordable and easy-to-use security cameras, have announced their new professional IP camera range, featuring the Cube, the Cube HD 720 and the Cube HD 1080. Offering professional quality and sleek design, the Y-cam Cube range is unique to the home and SMB market. It is available in three grades of video resolution – VGA, 720p HD and full 1080p HD, and provides uncompromised image quality, and the widest range of inter-device compatibility. 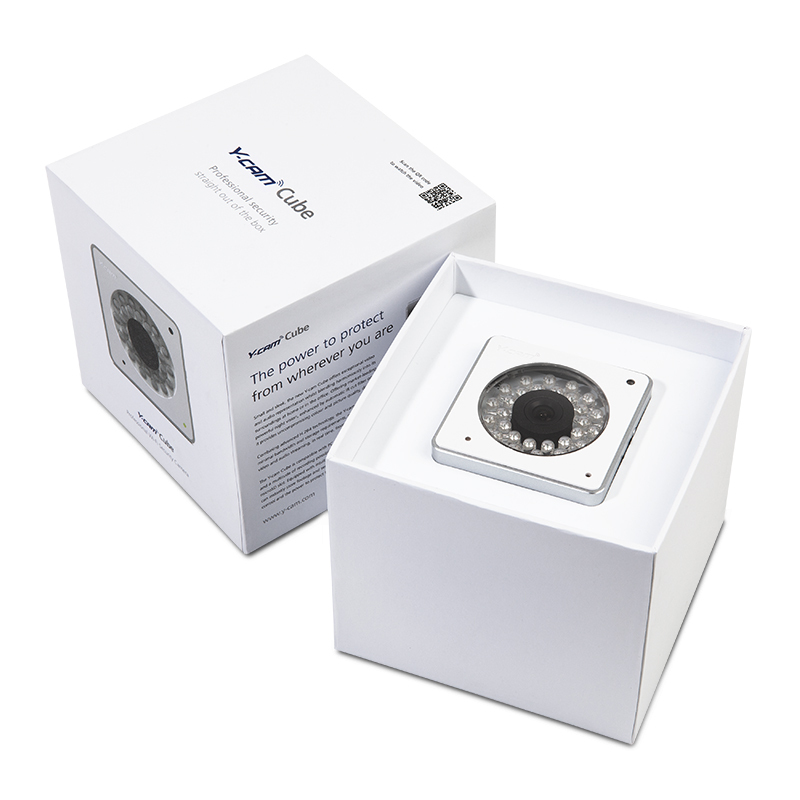 Measuring a discrete 6.5cm in width and height, the Cube blends harmoniously into any surroundings and is full to the brim with specialised features that provide the next level of security for high-tech homes and safety conscious businesses, allowing users to stay in control wherever they are. All three Cube cameras provide 24 hour protection and peace of mind. Advanced round-the-clock features include powerful market-leading night vision, powered by 28 instantly activating infrared LED lights and an automatic IR cut-filter which provides accurate daytime colour representation, as well as crisp night time images, even in pitch black darkness. Teamed with the highest quality CMOS lenses and built-in microphone means the Cube gives ultimate security throughout the day and night. This feature-packed professional camera range combines market leading features and the latest technology. Intuitive motion detection, instant email alerts, one-button Wi-Fi set-up with WPS, real-time video and audio streaming (including HD at 30fps), advanced Wi-Fi N, minimal bandwidth usage and storage from the latest H.264 compression technology, the Cube is an IP camera with clout. On top of these features, the Cube houses a built-in microSD slot for on-camera recording capable of storing up to 64GB of data, equating to over 90 hours of footage at the highest quality HD resolution. Offering heightened compatibility, the Cube range is one of the few IP cameras that not only supports both PC and Mac computers but also offers a dedicated mobile stream for direct mobile viewing on both Apple and Android products. It also works with a huge variety of 3rd party products and services, eradicating any need to purchase separate or additional equipment. 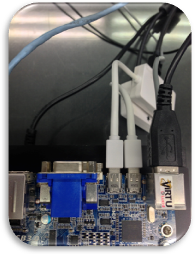 Additionally, with a simple PoE Dongle (sold separately), the cameras are capable of Power over Ethernet installations offering complete flexibility for users and installers. The Cube is a robust and powerful security solution providing complete reassurance and protection, 24 hours a day, 7 days a week. The Y-cam Cube and Y-cam Cube HD 720 are available now - direct from Y-cam.com, Amazon and all good IP camera stockists. The Y-cam Cube HD 1080 will be available in Spring. Y-cam Solutions Ltd is a British manufacturer of affordable and easy-to-use remote monitoring solutions designed for residential and small-medium business users. Founded in 2005, Y-cam is a young and dynamic company with rapid growth and award-winning products. For more information, visit www.y-cam.com and follow Y-cam on Facebook (www.facebook.com/ycamsolutions) and on Twitter @ycamsolutions. City of Industry, California, November 26, 2012 – GIGABYTE TECHNOLOGY Co. Ltd., a leading manufacturer of motherboards and graphics cards, today announced that their dual Thunderbolt™ series of motherboards support 4K resolution monitors in configurations derived from two Mini DisplayPort connectors, each capable of 2K resolution output. 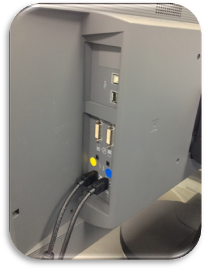 Testing was successfully carried out at GIGABYTE’s regional facility in Tokyo, Japan with the EIZO FDH3601 high resolution color monitor that is designed for air traffic control and geophysical services. 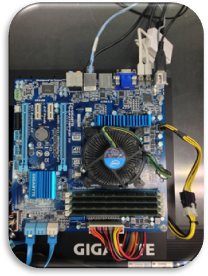 As the first motherboards to be certified by Intel featuring dual Thunderbolt ports, GIGABYTE’s ‘TH’ models offer up to 10Gbps data transfer speeds from each port: this means you can transfer industry-leading HD graphics and data simultaneously! Each Thunderbolt port complies with the DisplayPort 1.1 standard (with support for 2K resolutions from each port), and therefore provide a combined resolution of up to 4K for the ultimate in display specification future-proofing. For more information about GIGABYTE’s Thunderbolt (dual Mini DisplayPort) motherboards, please see the GIGABYTE Thunderbolt Motherboards launch press release or visit: http://www.gigabyte.us/microsite/312/images/thunderbolt.html. High definition pictures are available from the GIGABYTE Motherboard Tech Column Facebook page.